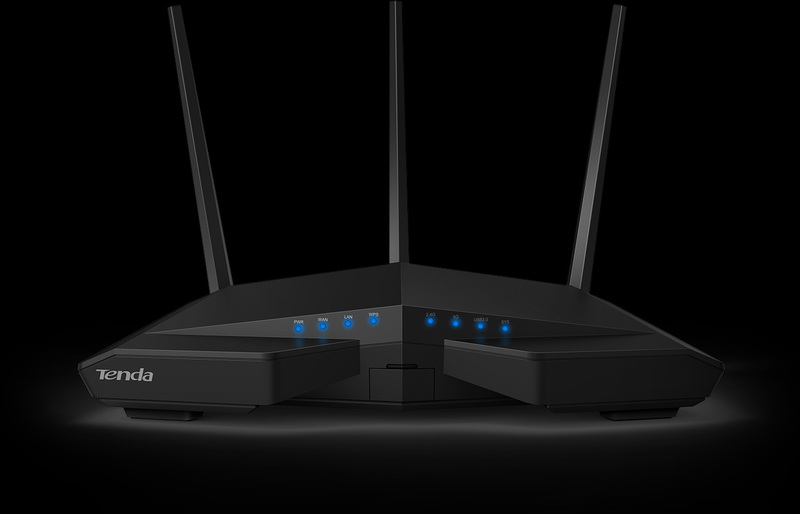 The AC18 leads the way to the next generation routers. With the all-new 802.11ac Wi-Fi dual-band Gigabit wireless, this powerful Dual Broadcom ARM Cortex-A9 CPU and 256MB DDR3 provides the best performance in both 2.4GHz and 5GHz in its class. The 5GHz band peforms up to 1300Mbps, with the 2.4GHz frequency tops 600 Mbps. 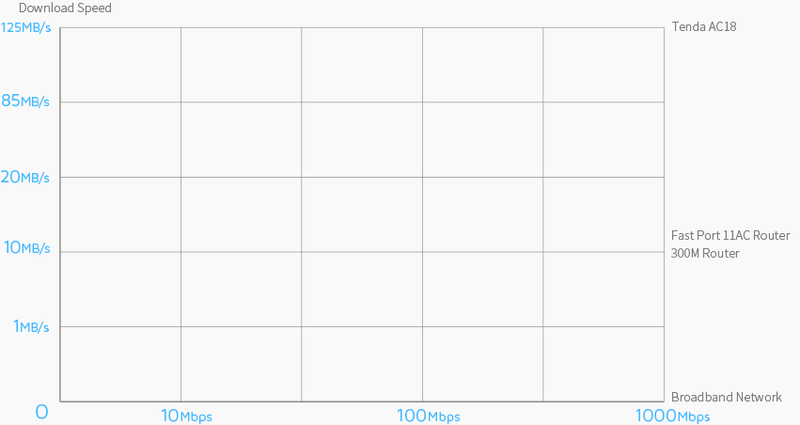 This serves an incredible combined bandwidth of 1900 Mbps. That's six times the speed of standard wireless-N routers! 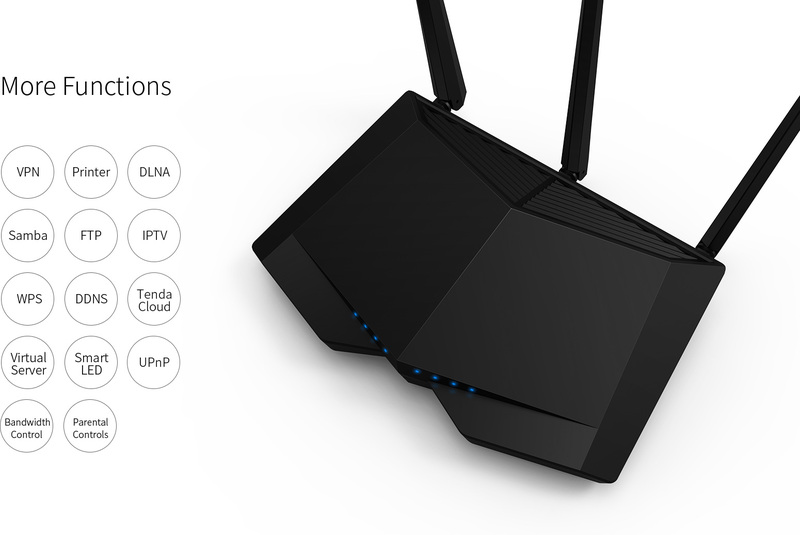 With the Beamforming+, built-in high powered amplifiers and external antennas, its coverage ups to 500㎡, you can enjoy lag-free gaming and uninterrupted video streaming anytime anywhere. Smart management via Tenda app for WiFi schedule, LED indicator and power saving which support all of your smart and eco-friendly lifestyles. 15K Jumbo frame improves the forwarding speed of large data. WiFi Button for convenient power saving. 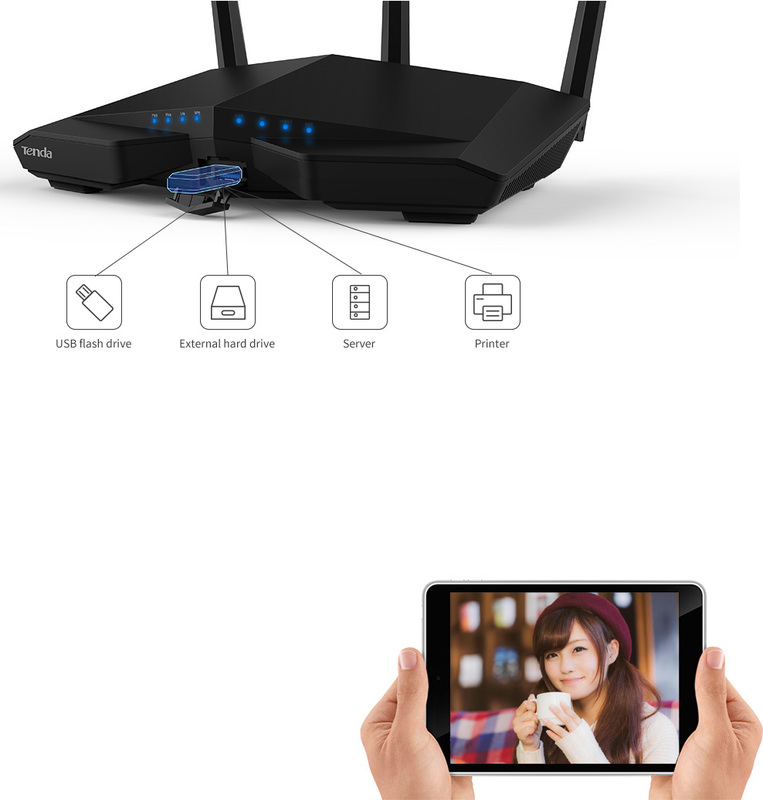 The AC18 comes with the next generation Wi-Fi standard– 802.11ac, six times faster than wireless N speeds with a combined wireless data transfer rate of up to 1900Mbps. With the crystal clear dual bands of 5GHz (1300 Mbps) and 2.4GHz (600 Mbps) , the AC18 sets the superior choice for seamless HD streaming, online gaming and other bandwidth-intensive tasks. 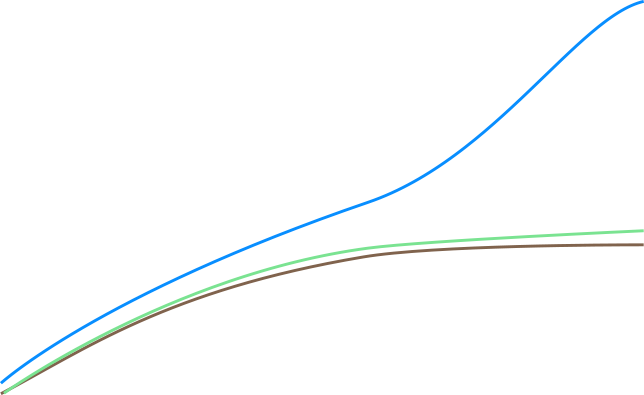 With 1 Gigabit WAN port and 4 Gigabit LAN ports, speeds can be up to 10x faster than Fast Ethernet connections. AC18 is a powerful hub to support a robust and extremely fast wired network. With 3 external dual-band antennas along with higher quality antenna technology, you can maintain high speed signals across greater distances. 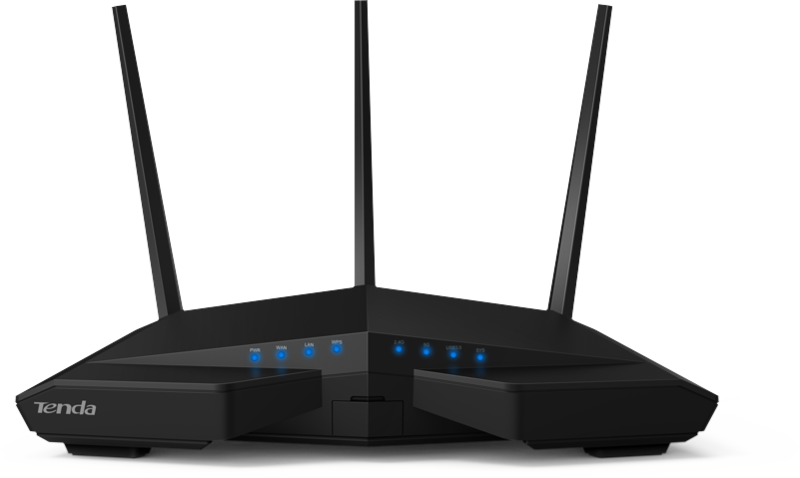 It provides incredible wireless coverage and transmission reliability from anywhere in your large home or office. 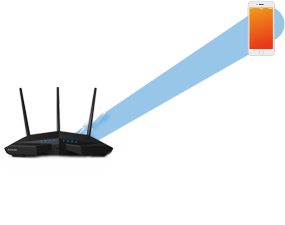 The beamforming+ technology increase the WiFi signal when the connection is weak . It makes the high-bandwidth activities easy and enjoyable. A CPU Chip to router is like a heart to human. The AC18 builds in the most advanced dual core chipset to ensure the impeccable compatibility and stability. It allows you to enjoy the ultimate surfing experience anytime anywhere. 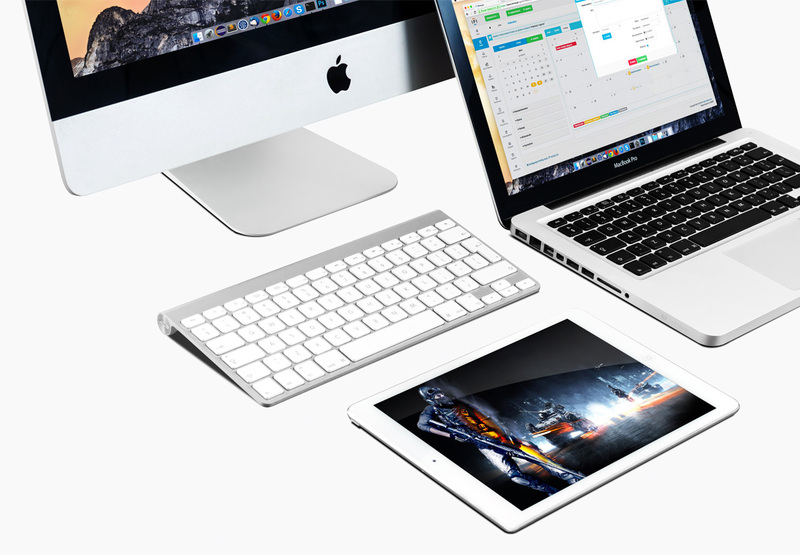 With a USB 3.0 port, AC18 can support remote access by building personal and secure cloud with external hard drive to upload and download large multimedia and file anytime anywhere. The high speed USB 3.0 features data transfer up to ten times faster than USB 2.0, so it is perfect to the file and multimedia sharing and the built-in printer server makes it easy to print wirelessly. Having trouble remembering to turn off the router at night ? Feeling bothered to turn it on/off from time to time? The Smart WiFi Schedule of AC18 will save you from the hassle. Setting your ideal time range,the AC18 will turn on/off WiFi automatically to create a low-power consumption & healthy Eco-friendly environment for baby, mother and your whole families. 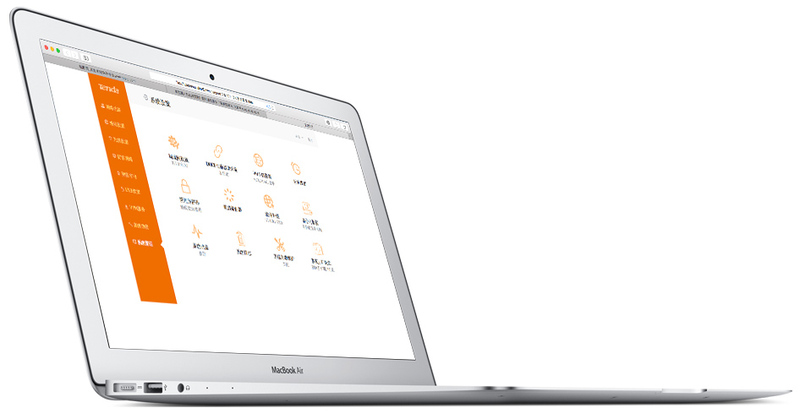 The simple setup interface of AC18 helps you access the Internet effortlessly in 30 seconds. Whether you are tech-savvy or computer newbie, the AC18 makes setup an easy and intuitive experience without complication. AC18 with a fantastic and scientific appearance which is inspired by B2 stealth bomber is a perfect choice for hi-tech chaser.it won't let you down not only on its impressive performance but also on its hi-tech design.